Irish-Americans outraged by Professor Douglas O. Smith using Marquette’s good name to dismiss anti-Catholicism in Northern Ireland and the mindless slaughter of the Somme Battle (1916). Fr. 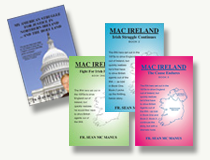 Mc Manus explained:”The Irish National Caucus regularly distributes to the Congress our Irish Congressional Briefings, which we also email to many thousand Irish-Americans. On Saturday, July 7, our Irish Congressional Briefing essentially consisted of an article by respected columnist for the Irish News of Belfast, Patrick Murphy, ‘War glorified instead of life-saving NHS.’ Saturday, July 7, 2018. (Full email and article below). Fr. Mc Manus continued:”I had no idea who Professor Smith was or how he got on our email blasts. 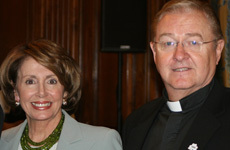 We had never received any previous request from him to be removed from our emails and Irish Congressional Briefings. So, I have to presume that his extraordinary, over-the-top, response was provoked by the content of the particular email to which he was replying. I am sure most Americans would agree with Mr. Murphy. And, surely, the Jesuit ethos of Marquette University ought to regard the article as reflecting its own values?